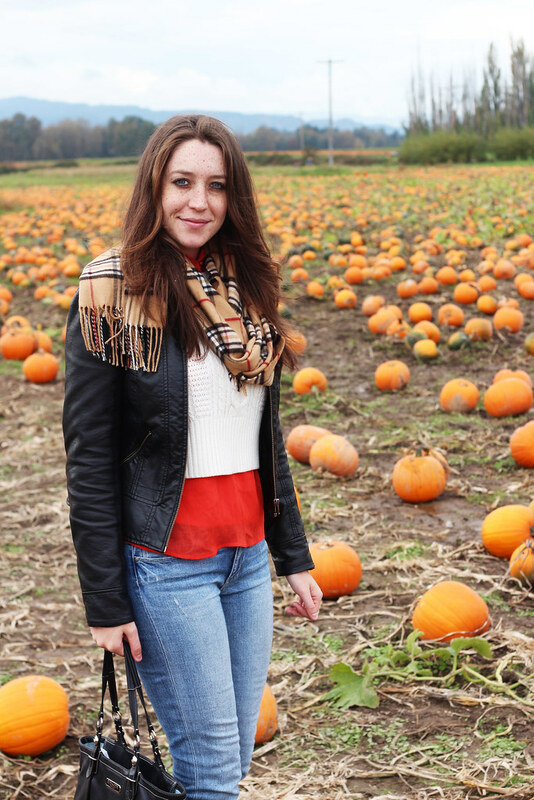 It's pretty obvious that this is my fall weekend uniform: boots, jacket, jeans, sweater. I wanted to dress up in something a bit cuter but Portland was threatening rain, the pumpkin patch is insanely muddy, and it was quite cold, so I went for a festive color palette instead. Ben and I headed out to Sauvie Island, a little island in the middle of the Willamette River about 30 minutes north of us, toward Washington. 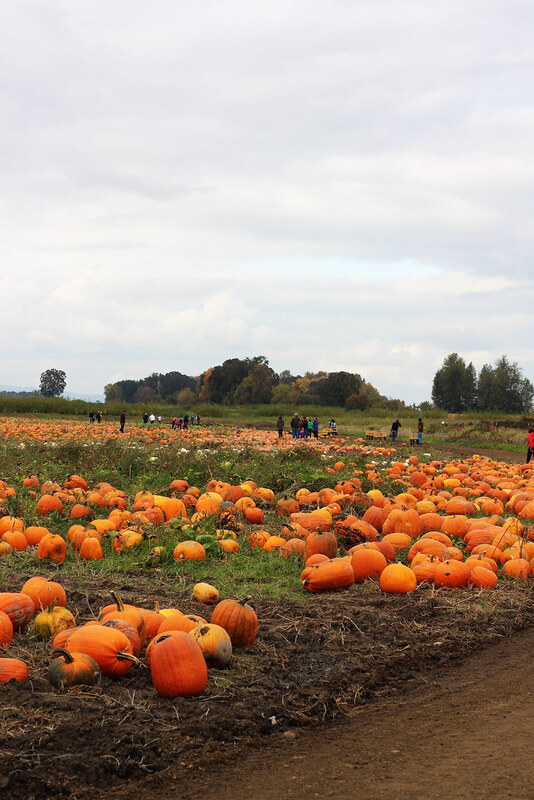 We actually visited two pumpkin patches on Saturday, but the first and most talked-about farm was too big. There's something off-putting to me about too many people, too many things you need to pay for, too many parking stalls, and too many people. 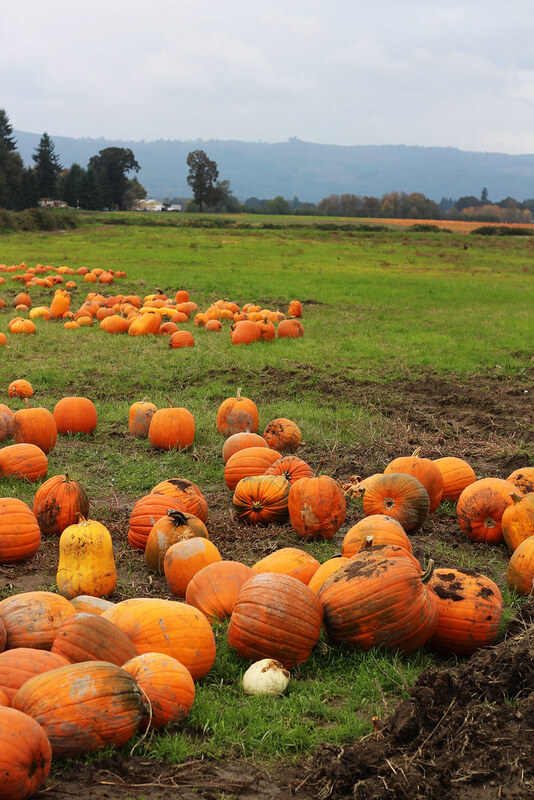 I am not going out to a farm to be at a city carnival - I want to wander around a field and pick out a muddy pumpkin, buy a bag of caramel kettle corn, and stop by the farm stand for gourds and apples. I don't want to pay to get my face painted or pay for a corn maze ($8 an adult?!). The second farm we visited was a bit smaller and we got our caramel corn fix, bought some organic green apples, and picked the cute pumpkin Ben is showcasing above. The only downside, other than my boots getting filthy with mud, was a little kid, maybe 4-5 years old, riding by on the hayride rudely mocking everything I did. I just don't understand horribly behaved kids. You're at a pumpkin patch, your parents are buying you a fall experience that's not cheap, and you're riding a tractor around a muddy farm... what's not to love? Kids are enough to drive me away from any family-oriented activity like pumpkin patches and head straight to a distillery where they're NOT allowed. Rant done. Love this outfit - it's so cozy and the palette is perfect! love love fun fall activities like this! 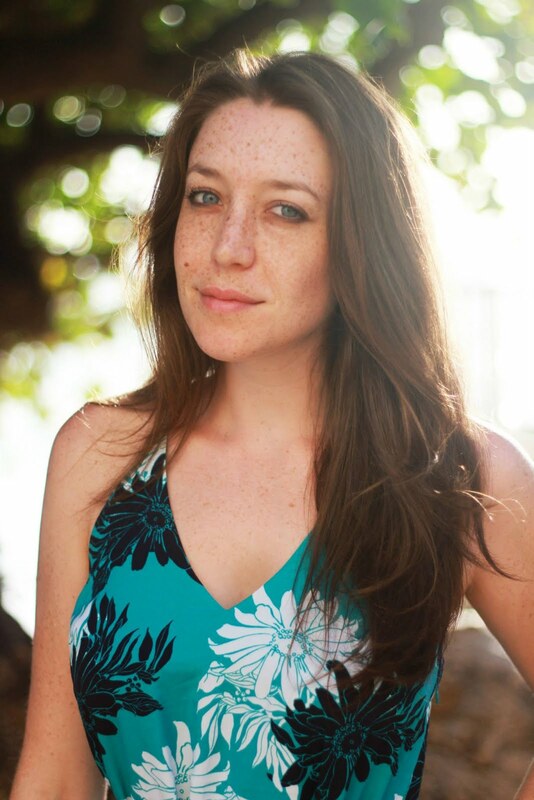 u look gorg and i love ur scarf! So jealous! I don't think I will have time to make it to the pumpkin patch before Halloween this year. This looks so fun and your "Fall uniform" is super cute! 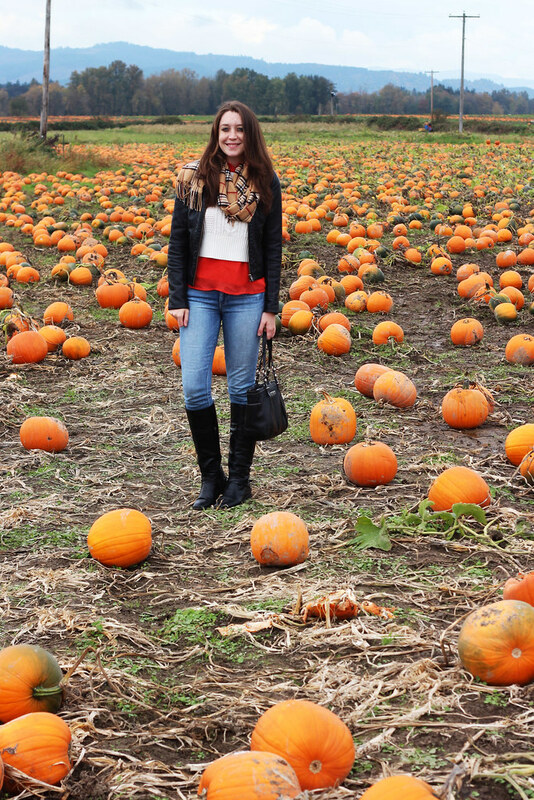 Looks like such a fun trip to the pumpkin patch (minus the mud and the annoying kid)! 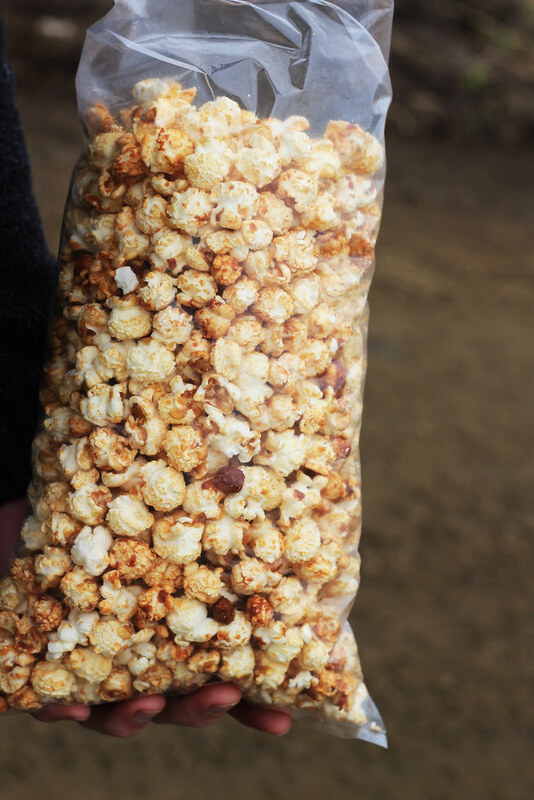 That caramel corn looks soo yummy! Wow, this look super awesome and fun!!! Such a cute outfit! I totally know what you mean! I think there has been a significant downfall in the behavior of kids in public, I swear my parents would just have to shoot me a look and it would all be over. I LOVE this outfit on you Kelsey! Such pretty pictures in the pumpkin patch! I love your striped scarf! 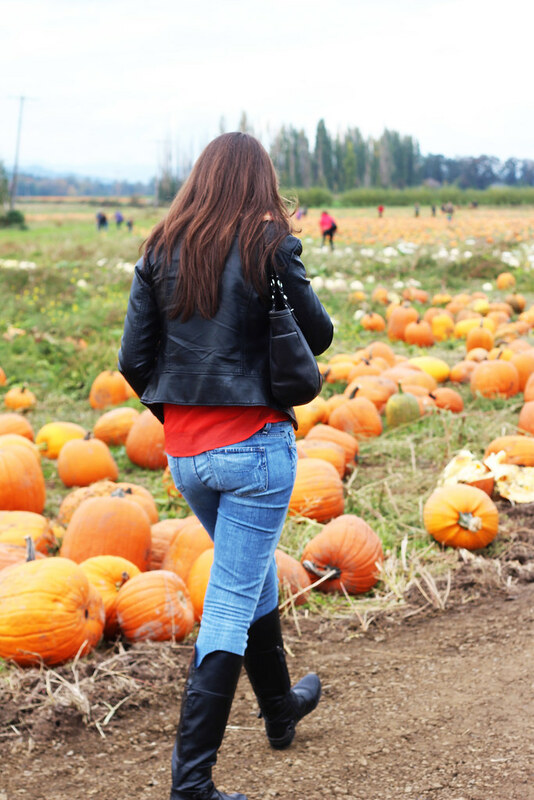 Don't you love pumpkin patches? It's the perfect way to get ya in the fall mood. You look fab as well! Ohh.. carmel corn and pumkin gloriousness? Sign me up! Thank you for reminding me that I need to go to the Issaquah Herb Farm. I haven't been since I was in high school and I miss it. They have pumpkins and cider this time of year. Great pictures. That scarlet looks great on you! Love that little crop sweater! 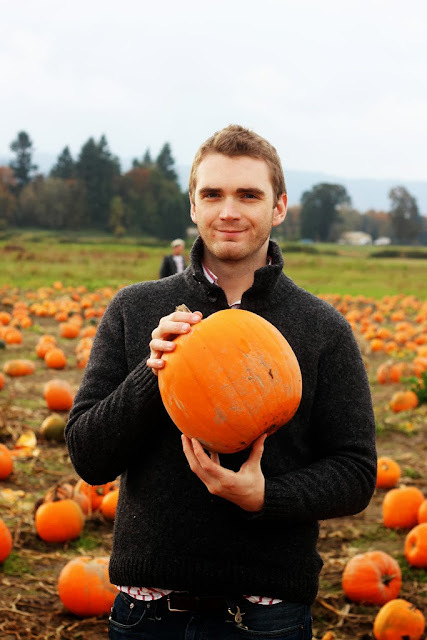 I would love to go pumpkin picking, but we don't have a tradition like that where I live. What was with that kid, geesh!! 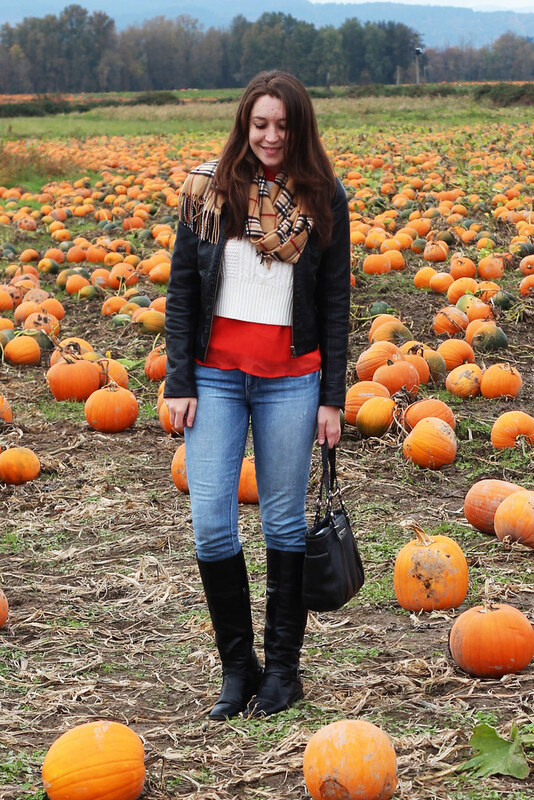 Cute look...I'm heading out to the pumpkin patch this weekend!